Desert Anyone? 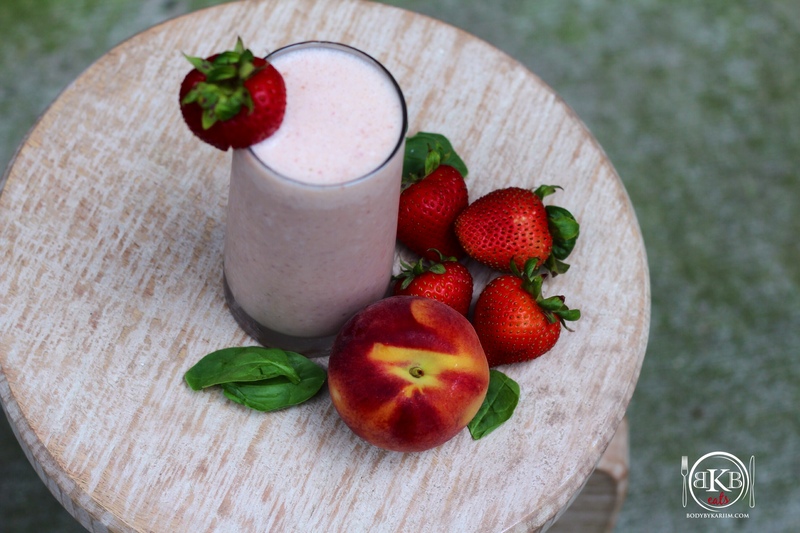 Not only is our strawberry-peach smoothie full of nutritious vitamins & minerals- with the added yogurt its full of protein & it’s a “no guilt” sweet treat! Peaches are a good source of dietary fiber & Strawberries are full of antioxidants. Blend strawberry, peach, banana, yogurt & coconut milk in the blender until smooth and there are no lumps in the fruit. Add ice and blend again for 20 – 30 seconds. Pour prepared strawberry peach smoothie into serving glass, garnish with strawberry slices and Enjoy!